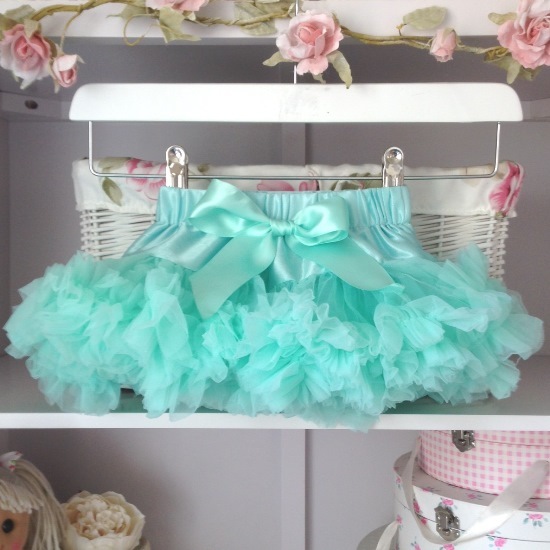 This lovely mint green colour is perfect for any little baby girl. This will fit newborn - 12months as it has an adjustable waistband. Perfect for those baby photoshoots or with knitted tights or leggings for an adorbale little outfit. We have made our baby tutus (0-12m range) less full and fluffy than our age 1+ tutus so they are not too big and bulky for your little lady. So she can sit, crawl, toddle and fit in her carseat with ease.